Home / Worship 101 / Victory at the North Gate! The Word has much to say about gates and their significance. The Lord prompted me in 2008, to look at the Gates of Jerusalem. At that time, before we knew Hurricane Ike was coming to our area, the Lord impressed upon my heart that the gates of Jerusalem were paralleled with the gates of Houston, Tx. He showed me that Hurricane Ike would come into Houston through the Water Gate, which is exactly what it did. I also knew that I was positioned in the North Gate of Houston, and I had the visual of Houston as a wheel, with spokes and a hub in the center, of which all the gates were connected to each other. I later in October 2015, saw the wheel come into its true form, it looked like a wagon wheel, very old and rustic as with the pioneers. And then I saw Houston as a wheel within a wheel, and I knew that it meant forward progress or to move forward, but also to move in all directions. And then I looked at the map of Houston, and I saw the wheel within a wheel, I saw the inner ring, the outer ring, the Beltway, and later the Grand Parkway. I also understood that there were actual gates in the spirit, with watchmen posted at those gates, and there were gateway churches, that were actively responsible to pray and cover their gates and surrounding area and who had been given charge and authority concerning their respective gate and surrounding area. In my initial study in 2008, I went to the Gates of Nehemiah, and I saw two gates at the Northern border. The first one was the Sheep Gate, rebuilt by the Levites and their fellow priests, and the other was the Benjamin Gate. Benjamin, meaning son of my right hand, also represented authority. The Sheep Gate is apostolic and represents the Lord Himself who said that He is the Gate, and He is the Shepherd. Ezekiel rebuked the false shepherds for abusing the sheep and taking care of themselves instead. When Jesus restored Peter to his apostolic leadership, He said, “If you love me, then feed my sheep,” thus bestowing upon Peter the mantle and responsibility of The Good Shepherd. (John 21:17) Jesus also called him Peter and that upon this Rock, He would build His Church, and the Gates of Hell would not prevail against it. (Matthew 16:18) Also, in that same year, I discovered that there was a prophetic word in the City of Houston, Texas, pronounced by Pastor Reginald Dees to Pastor Bruce Parks, that revival would come into the city of Houston through the North Gate, which is Spring, Texas. This newfound revelation seemed to sit on the shelf for the next eight years with little or no attention, until in October 2015, the Lord alerted me again to the North Gate. The enemy was raising its ugly head in Old Town Spring, and we were to pray and to worship and to release Prophetic declarations concerning the North Gate area, to stand for righteousness and to raise a Righteous Standard. Later in April of 2016 that so called church closed its doors, but there was more work to do to complete the mission to eradicate the enemy from the North Gate. So beginning from the 1st of September, I had been alerted again and was experiencing significant warfare, and received a prophetic word that in order to go to the City Gates, you must first visit the Old Gate, which was the preceding article to this one, where I released the revelation and praise report of Breakthrough at the Old Gate. Interesting that the Old Gate is also called the Governor, where Nehemiah returned to Jerusalem in 445 B.C. as the provincial governor of Judah, and began the rebuilding project there. Verse 10 says the strength of the burden-bearers is failing, and I believe this is where many intercessors have found themselves overwhelmed with the work ahead of them and the warfare they have experienced. Multiplied grace and strength and strategy to these intercessors who faithfully serve at these gates! 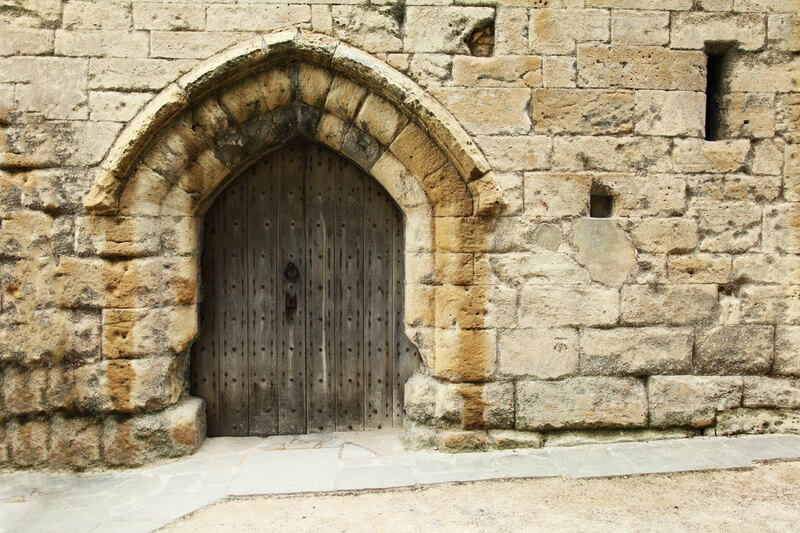 Let us look at the significance of the Gate in scripture and in historical context. The gates were a place to assemble and to have meetings as well as a seat of high honor, where the elders would come together. The gates were a place where justice was administered, where judges in court rendered their decisions. At the gates of cities, courts of justice were frequently held, and hence “judges of the gate” were mentioned (Deut. 16:18; 17:8; 21:19; 25:6, 7, etc.) Business was conducted there and legal transactions made, community affairs and religious services were held there too. The city gate was used as a public gathering place for the giving of an address or proclamation. Prophets and teachers delivered their messages there and kings and rulers or ambassadors were received there. It was a marketplace and it was very important to defend these places of economy and entrance into the city. Sometimes the gates symbolically are used to represent the city as a whole, as when the LORD said to Abraham, “Thy seed shall possess the gate of his enemies” (Genesis 22: 17) Gates can also be used figuratively for the glory of a city (Isa 3:26). Gates also represented the people of that city and in military terms, to “possess the gate” was to possess the city (Gen 22:17; 24:60). Sometimes a city had two walls and therefore two gates with a space between them, which was used for many purposes. “And David sat between the two gates: and the watchman went up to the roof over the gate unto the wall, and lifted up his eyes, and looked, and behold a man running alone” (II Samuel 18:24). Obviously the gates were very significant and their defense was high priority and the welfare of the people and the wealth and commerce within the city required great protection! And then I considered the North Gate in Ezekiel’s vision in Chapter 48 which is confirmed again in Revelation 21. Ezekiel 47 speaks of the River that runs from the Temple and the boundaries of the land. In Ezekiel we see the Gates of the New City, with twelve gates. The North Gate is comprised of three gates, the gate of Reuben, the gate of Judah, and the gate of Levi. I began to look at these three gates to the North. The first one is Reuben, the natural firstborn and rightful heir of the promises and inheritance. Jacob prophesied, “Reuben, you are my firstborn, my might, the first sign of my strength, excelling in honor, excelling in power. He stepped up in his authority to save Joseph from death at the hands of his brothers, but later forfeited his right to full inheritance due to sin. It is interesting to note that he was the oldest son and in the first position in relation to his brothers, and Jacob prophesied him to be mighty, and he excelled in honor and power. The second Gate is the Gate of Judah. Judah, meaning praise (Leah said, “This time I will praise the Lord.” Gen. 29:35), is the fourth son of Jacob (Israel) and saves Joseph by convincing the brothers to sell him into slavery instead of killing him. Judah also takes responsibility for Benjamin in Joseph’s palace. During the time of Moses, the tribe of Judah became the stronger tribe and “prevailed over his brothers,” the leading tribe in population and in men who could go to war (Numbers 1:2-3, 27). After the death of Joshua, God chose the tribe of Judah to take the lead in conquering the nations who were living in the land promised to the 12 tribes (Judges 1:2) and they were aggressive and strong in driving out the Canaanites in the southern half of the land of Canaan. We see the strength of character and determination of Judah and the spiritual inheritance of Jesus, the Spiritual Firstborn, through the loins of King David and our Eternal King of Kings! In verse 10, “…The scepter will not depart from Judah, nor the ruler’s staff from between his feet, until he comes to whom it belongs…”defers to the rightful owner who is Jesus Christ, the one to whom it belongs! This also reveals a special blessing for the tribe of Judah in the latter days. the procession of my God and King into the sanctuary. with them are the young women playing the timbrels. Praise goes before the armies of the Lord and before the King as He enters into His Sanctuary! The third gate is Levi. Levi was the third son of Jacob, of which both Moses and Aaron were both descendants of the Tribe of Judah and through whom the Priesthood was established. When Joshua led the Israelites into the land of Canaan (Joshua 13:33), the Sons of Levi were the only Israelite tribe that received cities but were not allowed to be landowners “because the Lord the God of Israel Himself is their inheritance” (Deuteronomy 18:2), and they served religious duties in the Temples and the Gates as well as political responsibilities. The Levites were also responsible for rebuilding the Sheep Gate. So what does all this mean? I believe the Lord is revealing His supernatural strategies to his Gatekeepers in these Gateway Cities, of which I believe Houston, Texas to be one of them. He has been positioning His Generals and elders at the Gate and He is releasing the rallying cry to His People! This is not a time to be silent, but it is a time to find your place, your rank, and your position. As I consider the significance of the Prophetic Destiny of Houston, Tx, I am mindful that God has positioned us at the Old Gate for 14 years at the Old Family Gate of the Wunderlich Family and the Old Gate is a governing gate for Justice and Righteousness for the City of Houston. We have been soaking that gate for 10 years with worship. We are also positioned at the North Gate of Houston, Tx in Spring, Tx . We see the relevance of the Benjamin Gate with the authority of Apostle Ed Hendrix and the Sheep Gate, which was rebuilt by the Priesthood through apostolic order. We also see the significance of the North Gates and the three Gates which comprise the North Gate. Reuben is the firstborn in the natural is strong, full of honor and might. Judah is the Kingship of Jesus Christ, and praise goes before the armies of the Lord as well as ushers the King into His Sanctuary and into His City! Levi is the Worshiping Priesthood, which also carried the Ark of Glory before the armies of the Lord, and faithfully ministers unto the Lord, as in Ezekiel’s admonition of the Sons of Zadok! The King is Coming and He is coming in Glory! He is coming to His Gateway Cities and He is filling His Latter House with Glory! The Last Great Awakening is here, the King is coming with His Fire to burn up the works of darkness, His Rain to refresh the Land, and His Wind to blow away the chaff! The Greatest Days of the Church will be seen, His Glorious Bride fully manifested in our cities, our region, and in our nation! America, the Lord has remembered you and the prophetic words pronounced by our Founding Fathers, and you will fulfill Your Destiny in the Earth in the Great Harvest of Souls! Arise My Church Arise! Victory at the Old Gate! Victory at the North Gate!